Use this tool for percents and counting out of one hundred. 1. Drag Base Ten Blocks from the tray to the display area. 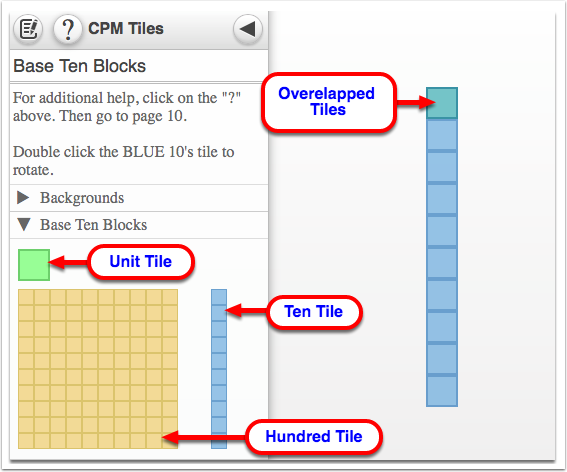 Notes: Tiles can be overlapped. Tiles will snap to the grid. 2. Double click to rotate. 1. Click the arrow before the 'General Tools' to view. 2. Click the Text Box and drag it to the display are. 3. Click the 'T_' icon to add/remove text border. 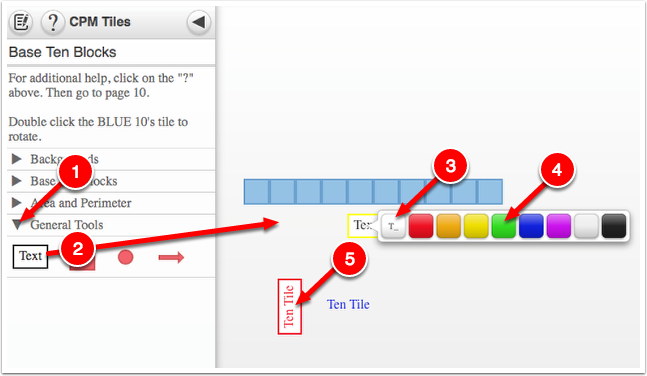 Note: If the Text Box settings do not display automatically, right click on the Text box. 4. Choose the font color you wan to use. 5. Double click the Text Box to rotate.